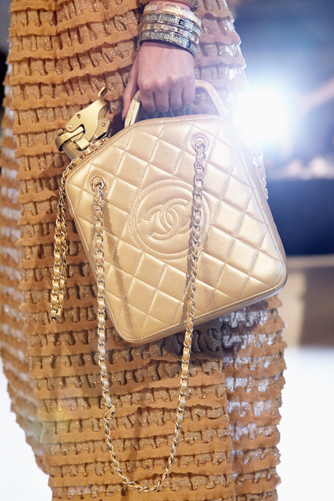 It irritated some and made others giggle, but you must admit it's definitely one of the craziest (and most controversial) Chanel bags, like ever. Maybe because Karl chose to present his ode to Arabic style in the heart of Dubai, and accessorize the rich, beautiful, Oriental looks with gilded purses shaped like gas cans. Quilted and Double-C'd, naturally. But, would you carry it?